Investment Opportunity! Two homes on a lot . Guest house with large backyard. $50,000 in Upgrades ! 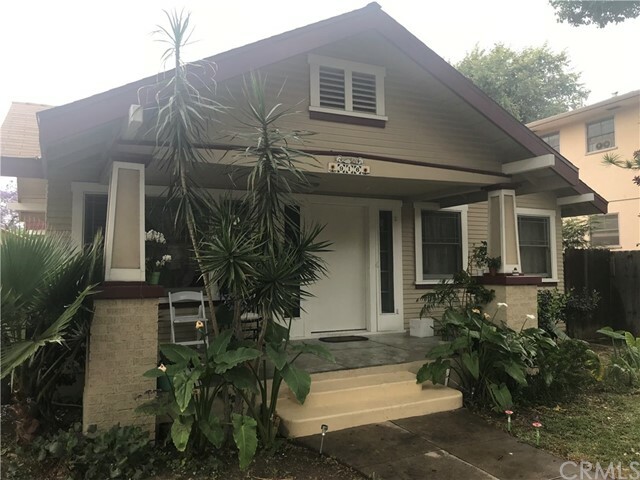 Stunning 1921 Craftsmen bungalow style home located in Historical French Park, Old Town Santa ANA This One of a kind home is listed in the National Register of Historical Places. Completely REDONE THROUGH OUT!! Granite kitchen and bathrooms! Large bedrooms! Hardwood floors ! New Kitchen, and Bath with Modern Electrical and copper to meet current safety codes!! Original Hard wood floors throughout!!! Vaulted Ceiling in the master with Open beam ceilings!!!! The extras in this bungalow speak for themselves!! Built in ironing boards, and Vanity Amazing original French doors Beautiful new REDWOOD swing gate across drive for maximum privacy!!! Great curb appeal with lush landscaping front and rear with automatic irrigation system Mature Avocado, apple, and plum tree with beautiful grapevine. Enormous Stately Camphor Tree vintage to the area located in front yard of this spacious wide tree lined street! An amazing investment opportunity or family home with casita perfect for mom ,older kids or tenant. Will not last.